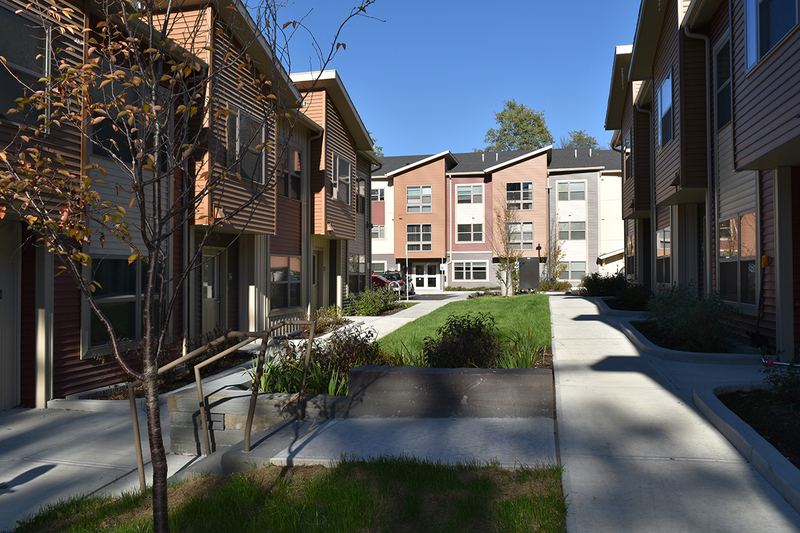 TWMLA assisted Ithaca Neighborhood Housing (INHS) and PathStone Corporation to provide a new housing development targeting low to mid-income residents. TWMLA provided design services at each project phase from early concept and community outreach, through permitting and construction. The development creates a mix of housing types from 1, 2, and 3 bedroom units to best meet the demands of a diverse population. All of the 35 units are either fully ADA accessible or visitable. 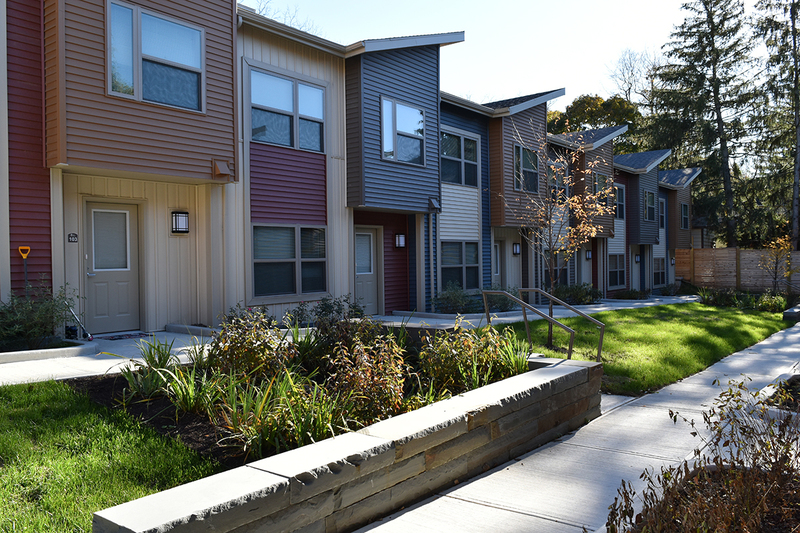 The project’s location just south of downtown Ithaca allows residents easy access to existing community resources, transit, and educational and employment opportunities. Landscape treatments throughout the development, such as stone walls, rain gardens, and a timber gateway complement the creative architectural solutions. Cedar fences and extensive landscaping provide a dialogue between the project’s comfortable residential scale, its mixed-use context, and the nearby Buttermilk State Park. 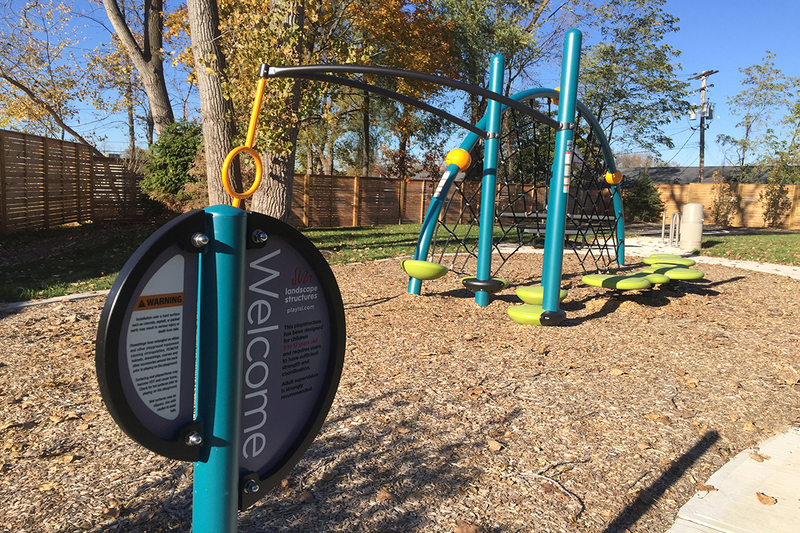 Interior walkways, a shared basketball court, and playground contribute to a sense of family and community at Stone Quarry.